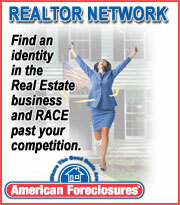 Where can you find the highest concentration of pre-foreclosures in Pennsylvania? Where are the best, lowest-priced investment properties in Pennsylvania? Where can you start a real estate investing career and build a portfolio worth millions? How can YOU gain access to these pre-foreclosure (lis pendens) records filed in Philadelphia? 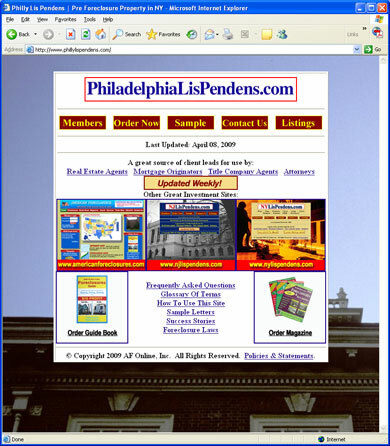 Just visit www.phillylispendens.com. Lis pendens (Latin, for lawsuit pending) are legal actions filed against borrowers who have missed 3 or more mortgage payments. The records on www.phillylispendens.com are posted weekly. HERE’S where you can find the SHORT SALES you’ve been looking for! Visit www.phillylispendens.com to find out more!